This streaming service from the Discovery Channel’s founder focuses on non-fiction content. Update: Our resident film critic Jeffrey M. Anderson has taken an in-depth look at CuriosityStream. You'll find his detailed opinion here. Roku’s channel lineup just keeps getting bigger: The popular media-streaming platform recently added a channel from CuriosityStream, a Netflix-type SVOD (subscription video on demand) service dedicated to documentaries and other factual content. 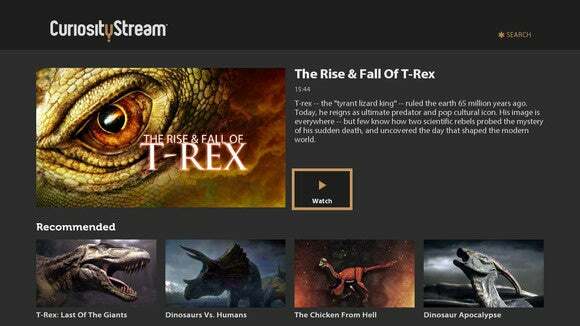 CuriosityStream is the brainchild of Discovery Channel founder John Hendricks, who originally envisioned it as an online classroom. It was to mainly feature lectures recorded at the learning-focused retreats that he has been hosting at a resort in Colorado since May 2014, but eventually ended up becoming much more ambitious than that. The service debuted in March this year with more than 800 pieces of nonfiction content, a number that has since increased to over 1,000. These are a mix of original and licensed programs, mainly dealing with science, technology, history and wildlife. In terms of length, the content on CuriosityStream runs the gamut from bit-sized videos to feature-length documentaries. “With CuriosityStream’s new Roku channel, consumers with a fascination for all things science, technology, civilization and the human spirit can watch short-form and hour-long series and specials from the world’s best nonfiction producers, including NHK, BBC, ZED, TerraNoa and PixelDust,” the company said in a press release announcing the launch of its Roku channel. You can find the new channel in the Science & Technology section of the Roku Channel Store. 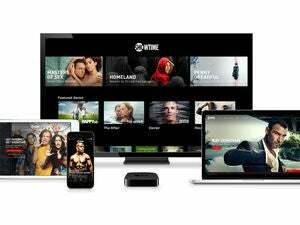 Access to the service is free for the first month, after which you will have to choose between a $3-per-month plan offering SD-quality streaming, or a $6-per-month plan with an HD-quality option. Besides Roku, you can also access the service on a PC (via a web browser), iOS, Android, Chromecast (via an Android device or Chrome), or Apple TV (via an iOS device). If your favorite device is not on the list, don’t worry. The company says it’s working on apps for a number of other platforms, including Amazon Fire TV, Microsoft’s Xbox consoles, Sony’s PlayStationconsoles, and various smart-TV platforms. Why this matters: CuriosityStream isn’t trying to be the next Netflix. As with most niche offerings, it will probably be more than content being most cord-cutter’s second- or third-choice streaming service—or, if you will, a successful also-ran.